*This revised and expanded version of the essay originally titled ‘Peace Walker’s Military Industrial Complex (Or The Bosses Metamorphosis)’ is part two of a continuing series exploring how the last three Metal Gear Solid games analyze the shift in political strategy that arose in the modern era. The modern day concept of the nation came about as a byproduct to the spread of enlightenment ideals across the globe. Based on philosophies that defined individuals as absolute agents of their own lives, it ended the subservience to monarchies and united people along territorial, economic, or ideological lines, pooling their resources to live in an economy of production in the knowledge that their collective abilities would greatly outmatch their separate talents. With the advancements in communication and transportation that made the world a smaller place, nations became actors in global politics. Haunted by his mission to assassinate his mentor, the legendary traitor-patriot The Boss, Naked Snake and a band of disillusioned soldiers retired to a Columbian beach as the mercenary group Militaires Sans Frontières. One November day in 1974, the young peace advocate Paz arrives searching for a way to rid Costa Rica from a covert CIA action that is arming the Nicaraguan forces, the Sandinistas. Paz is being escorted by her Professor, a man named Galvez that Snake immediately recognizes as the KGB agent he really is. The soviets want to seize control of Latin America and destabilize the U.S. network that linked the American continents. Snake’s objections recede when he’s given a recent recording with The Boss’ voice. With rumors of a monster stalking its foliage, Snake and his Soldiers Without Borders reenter the jungle. Viewed in their historical context, the Big Boss chapters of the Metal Gear Solid saga spans the new modes of political theory that developed over the Cold War, placing Snake beside its real life players. In that respect, Peace Walker observes the period between the post-World War II stalemate of nuclear deterrence and the lessons that came out of Vietnam that would result in the adoption of proxies. The strategic advantages of proxy warfare were largely discovered when the CIA engaged a secret military operation in Laos employing thirty thousand Hmong mercenaries to interrupt the flow of supplies to their enemies along the Ho Chih Minh Trail. With the dwindling support for Vietnam both abroad and at home, the CIA had to be careful with how it engaged its operation. Because they couldn’t directly secure funding by traditional means, they established lucrative business ties with local opium drug lords, using their own Air America aircraft network to distribute product throughout the country. By its very nature, the strategy of warfare by proxy allows the original actor to sidestep public scrutiny and diplomatic culpability, but when financed by a black market industry evolves into a self-sufficient model with even greater applications. Soon after making contact with the Sandinista’s, Snake comes face to face with a massive new quadrupedal tank equipped with a nuclear missile and an incomplete artificial intelligence programmed with The Boss’s imposing personality, meant to be a true, objective party to maintain the deterrence between the Super Powers run by people who might be unwilling to retaliate if it came to an all-out nuclear holocaust. Retro-engineered from a comprehensive list of The Boss’s military records and psych profile, the AI mammal pod adds high level critical thought to the lower level reptile pod controlling its motor functions. To battle this Peace Walker, Snake needs to amass a huge force, the Sandinista’s significantly adding to the ranks of the MSF. Peace Walker the game evolved MGS4’s in-game economy that traded weapons for currency. There, the ideas contributed to the moral that in a PMC-run war industry, guns were more valuable than the lives of the soldiers that aimed them, a conceit that PW inverts and applies as a primary gameplay system. Guns of the Patriots cynical view of PMC’s is turned into a positive by returning to the idea of the nation harmonized by a central sense of purpose. What starts as the small Nicaraguan resistance soon expands to a Mother Base on a single off-shore platform. 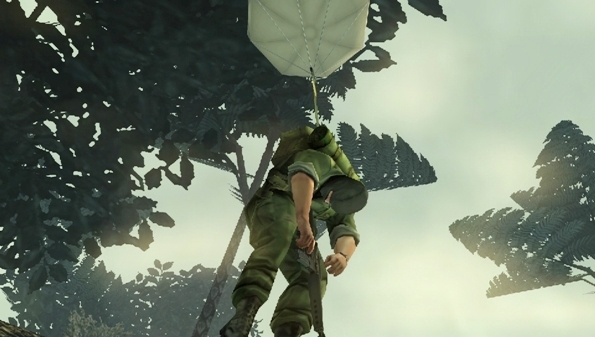 Units are either added to the organization by immobilizing enemies, slapping a Fulton balloon to their back and whisking them into the sky, or by accepting volunteers that have heard the rumors of your operation. The concept is greatly reinforced by the online co-op missions, instilling a sense of camaraderie with your team and the people all over the world taking up arms beside you. The divisions of labor within Mother Base benefit its internal ecosystem, and every department feeds into the machine. While it’s easy to understand how the combat and R&D departments carry their own weight, the Mess, Medical and Intel departments are all for the self-sufficiency of the military corporation and keeping the units fed, healthy, and happy. With these systems, there is a direct connection between the success of your field units and the self-sufficiency of its support system. Metal Gear’s gameplay has always operated around its two pillars of sneaking and combat, a virtue that had to be revised by the fundamental need to acquire new soldiers and their GMP. Peace Walker’s intent is revealed with a small but fundamental change in its mechanics. There’s no crawling. If Mother Base is an economic system with every unit being currency for production, narrowing the range of gameplay into a linear shooter puts you in direct contact with your exploitable funds. You are rewarded for slapping a Fulton on a downed enemy and given nothing for evading. 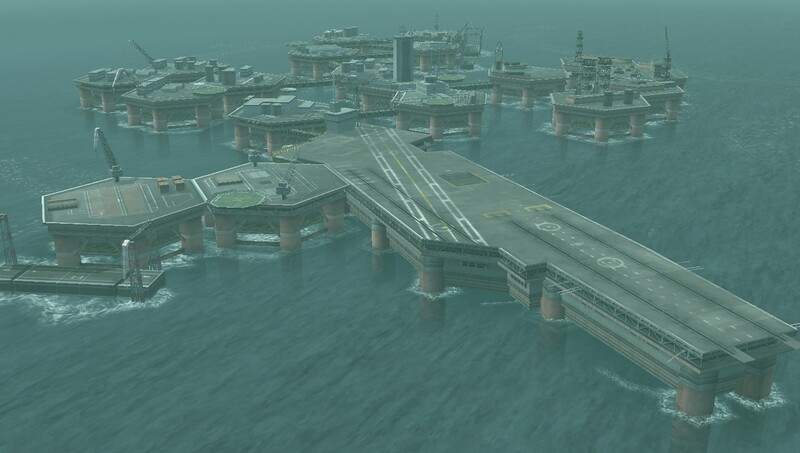 The constant investment in your forces builds out Mother Base from its humble beginnings to a sprawling oceanic facility with more than a dozen buildings, a massive arsenal, and a substantial army to be dispatched into conflicts throughout the world. The virtue of the structure is the tangible sense that you are becoming a force to be reckoned with. This becomes particularly apparent against the many armored vehicle battles. Though these open-ended fights support both a full frontal attack and tactical elimination of the accompanying guards, they can seem downright formidable with the early items. But with R&D cranking out new and improved gear, you come to present a significant threat to your enemies. Unlike the past MGS entries, the main enemies in PW aren’t meant to be metaphors for the story but mirrors for the protagonists, the development of the Peace Walker being a mechanism to chart the similar growth of the MSF. The tank-like Pupa, the insectoid Chrysalis, and the mobile fortress Cocoon; the three phases that preceded the final form all represent the stages that develop an unassuming larva into a free butterfly. But as the two forces represent a different take on political theory, their battle is symbolic, even if their advanced weapons are anything but. The game of deterrence is put to the test when the Peace Walker simulates an attack on Norad, exposing the fallacious assumption that everyone works on rational self-interest that necessitated the Peace Walker in the first place. Only when The Boss’s completed AI profile, its imago, takes over does Snake have a moment to rip out her circuitry, the very memories that replicated a character so great that it would do everything necessary to save the world, including destroying itself. That killing his mentor again is another gut wrenching ordeal for Snake proves that even though she is long dead, her strength lived on through him. This story beat isn’t just the climax to Peace Walker’s plot, its Metal Gear retiring the political strategy of deterrence that had opened the Cold War to put its successor into practice. The Soviet’s initial plan to cripple the U.S.’s route through the America’s hinted at proxy warfare’s truly sinister strategic possibilities, but they manifest in the epilogue: subversion from inside a political body. When the MSF’s own secret black project, built from recovered Peace Walker scrap, is hijacked and readies its nuclear warheads, its Paz that Snake discovers in the pilot’s seat. An agent of Major Zero’s shadowy organization Cipher, she manipulated the Soviets to infiltrate the MSF’s ranks and used the same tactics they had planned to separate North and South America in order to frame the military group as a threat to the entire world. Proxy warfare, at its darkest application, facilitates strategic terrorism. This revelation represents a turning point, not just for the Metal Gear fiction, closing the distance between the end and the beginning, but for the state of the real political world that would span from the early 80’s into the new millennium. 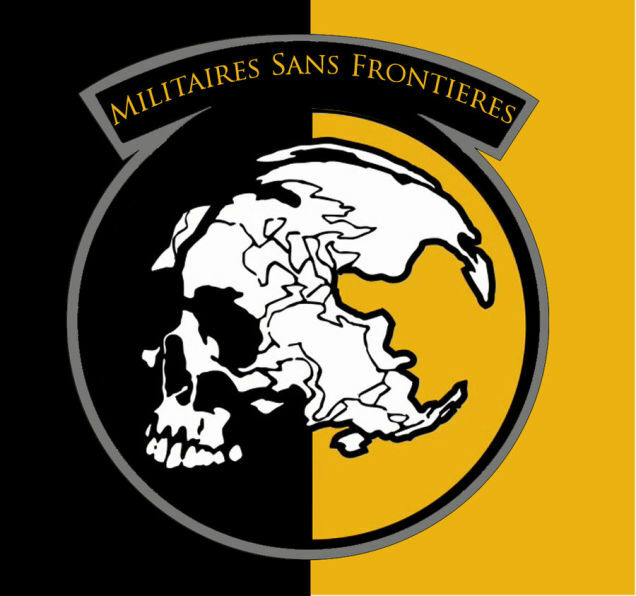 Just like the process that transformed a prototype mech into the butterfly that is Peace Walker, the MSF has gone through its own metamorphosis, uniting under a common cause, gaining strength and emerging as a global power indistinguishable from the man at its heart. 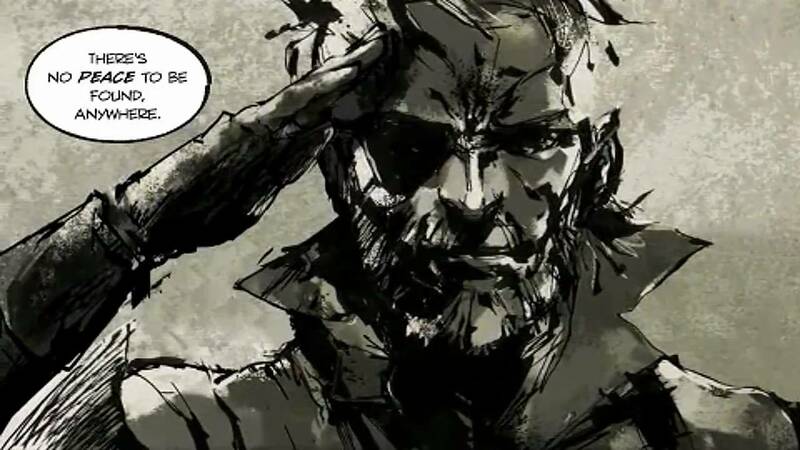 If MGS4 was the death of the ‘Snake’ identity, then Peace Walker is the rebirth of the original as Big Boss; commander of an army, leader of a nation, and wielder of the powerful Metal Gear Zeke.